Assalamu'alaikum sisters! 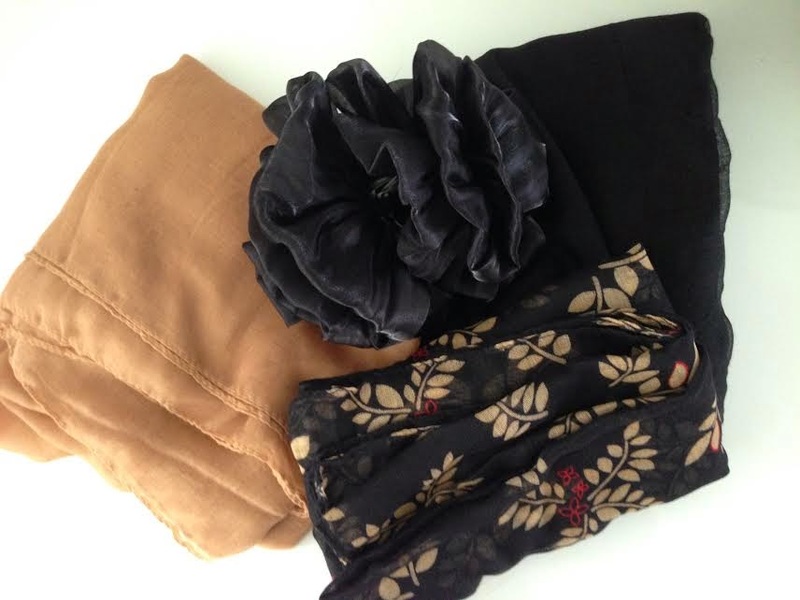 Today I've got a mini scarf/hijab haul as I started wearing the hijab recently yayy and alhamdullilah I am very very happy with my decision and I have started this blog to inspire muslim girls with fashion but still stay in the limits and fulfill their duty to Allah swt. So anyways, I bought three hijabs from a local store in my area. All the scarfs I bought are in cotton material as I feel that they are the most comfortable and they stay in place. I chose two plain and one with a pattern. 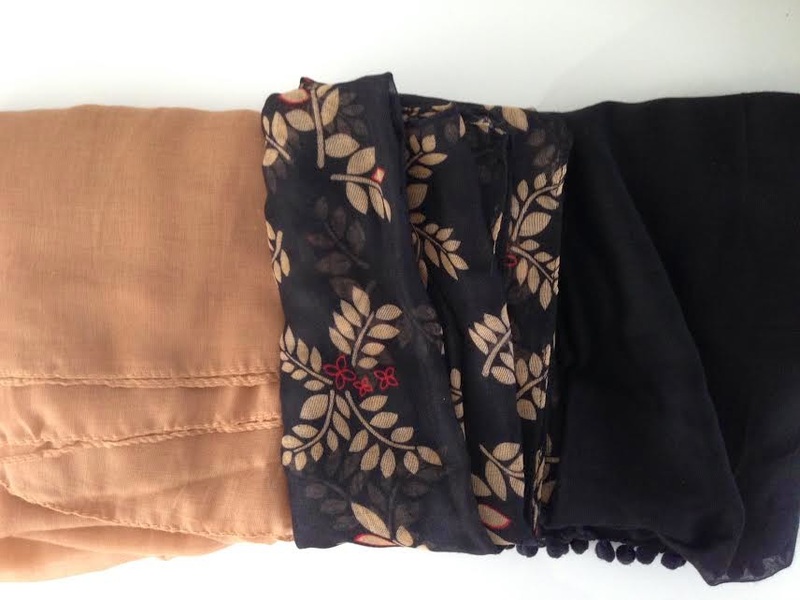 The two plain ones are perfect for everday wear so I chose black and a beige coloured. These two have pompoms on the end which look beautiful when you wear the hijab whereas the patterned one doesn't. They are quiet sheer but I fold them in half and they are quiet large in size which I like. Along with that I also bought the flower to add volume to my hijab. These can be found anywhere where they sell scarves.